Our goal at Choices Markets is to bring you the latest items to cater to a variety of special diets. We work tirelessly to create our own unique items in our fresh departments while sourcing out the latest grocery products to ensure we have the choices you’ve come to expect from us. This isn’t anything new; we’ve been carrying organic, gluten free, non GMO, vegan and many other food options long before they emerged as food trends. 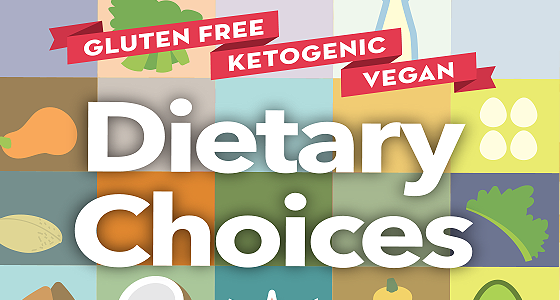 Just this year, our Bakery started entire lines of alternative flour and ketogenic items and later this fall, we’ll have some exciting new options in our Meat and Deli departments. For some, these are lifestyle choices. For others, they’re requirements for healthy living. We understand this and know there’s a wide array of nutrition information out there to sift through. This is why we have either a Registered Dietitian or Registered Holistic Nutritionist at each of our stores to help you understand the facts and teach you how to choose foods that are right for you and your unique needs. If you want to get more in-depth advice, we offer free, one-on-one personalized nutrition tours on a variety of subjects depending on your interests and concerns. We also provide recipes and other cooking tips to ensure that you know what to do with the food once you take it home to ensure it’s delicious. At Choices, we’re committed to helping you and your family live a healthy life.